Mauna Lani Resort is located on the Kohala Coast on The Big Island and is approximately 23 miles north of the Kona International Airport. It features two wonderful resort courses. Francis H I'i Brown was a territorial representative, extraordinary golfer, adventurer and sports fisherman-and he began acquiring the property in the early 1930s. Kalahuipua'a, as the area is known, had always been considered sacred land by the Hawaiian people. Kamehameha I, the great Hawaiian king who united the islands, was said to have had a small fishing village and canoe landing here. When he had completed his acquisition of the land in 1936, Brown took special care to ensure that Kalahuipua'a would remain a uniquely "Hawaiian" place forever. During the years of his stewardship, he restored ponds, built roads and retaining walls and planted many of the of palms that still stand today. He sold the property to Mauna Lani Resort in 1972. Francis Brown was a renowned and gifted athlete. He loved boating and fishing, but his skill as a golfer was legendary. He participated in Bing Crosby's Pebble Beach Clambake-and held the Hawaii golf course record at the Old Course at St. Andrews for many years with a 62 in a practice round prior to the 1924 British Amateur. At one point he concurrently was the amateur champion of Hawaii, Japan and California. The original 18 hole course was opened in 1981, designed by Homer Flint and Raymond Cain. It was a visually spectacular golf course that featured one par 3 hole crossing a wide Pacific inlet, another par 3 playing into a colosseum of lava, and many holes whose primary challenge was just to hit the verdant fairways and greens, avoiding the lava formations in the landing areas on both sides of the fairways. The golf course received rave reviews from the moment it opened. Mauna Lani Resort- South Course is routed through rugged lava from the prehistoric Kaniku lava flow. 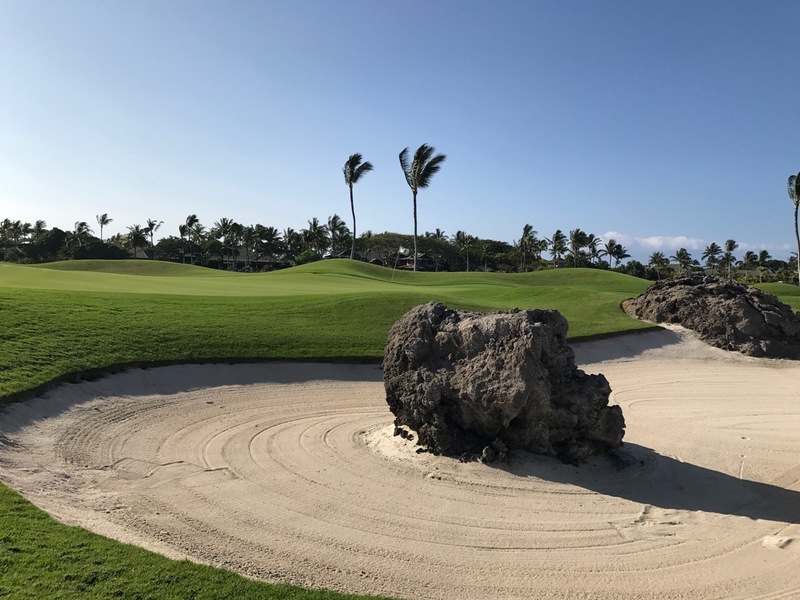 While it is a resort course and playable for all, it can also challenge the best and offers the golfer a distinctly Hawaiian experience with a combination of lava, mountain and ocean views interspersed with lakes and swaying coconut trees. The South Course is also home to No.15, one of the most photogenic golf course holes in the world. Mauna Lani Resort's championship South Course was the home to the Senior Skins Game from 1991 - 2000, and was one of the world's most exciting televised golf matches. 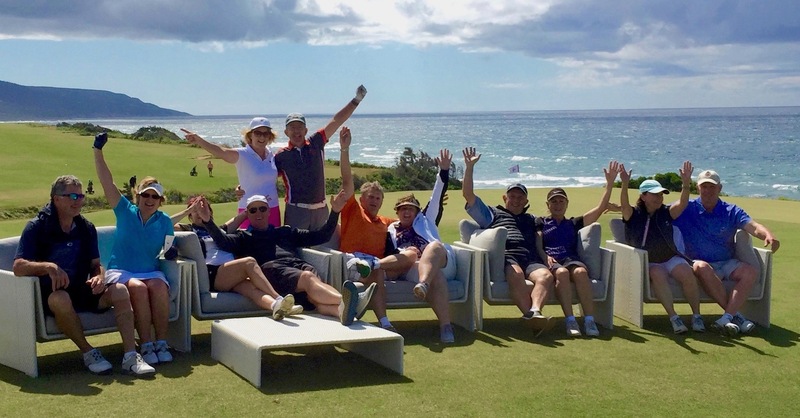 Mauna Lani Resort hosted golf legends such as Raymond Floyd, Arnold Palmer, Jack Nicklaus, Lee Trevino, Chi Chi Rodriquez, Gary Player, Hale Irwin, and Jim Colbert at The Skins. 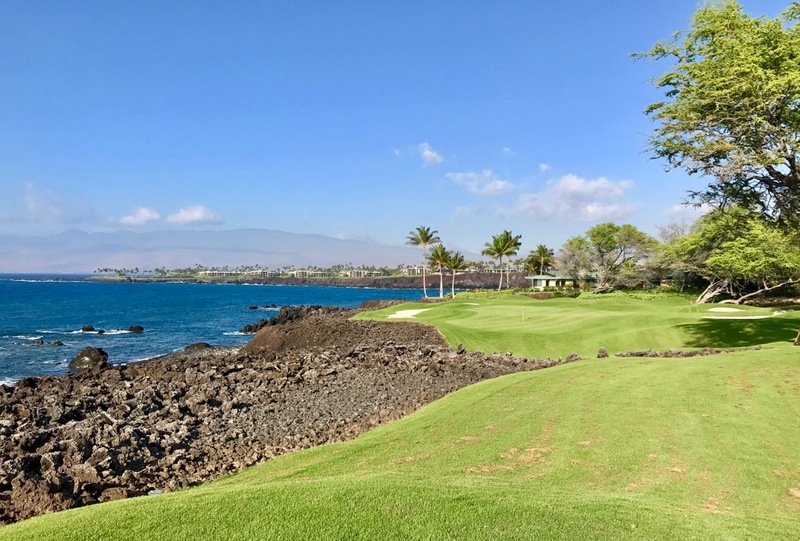 The south course is the more popular of the two courses at Mauna Lani because it is the more scenic, and has a number of holes touching the ocean, while the north course travels more inland. The course starts quietly with a number of holes framed by black lava as the course heads for its first encounter with the sea at hole 7. Hole 3 added a water carry over a lake, but it is hole 7 that is the first to really get the heart racing. 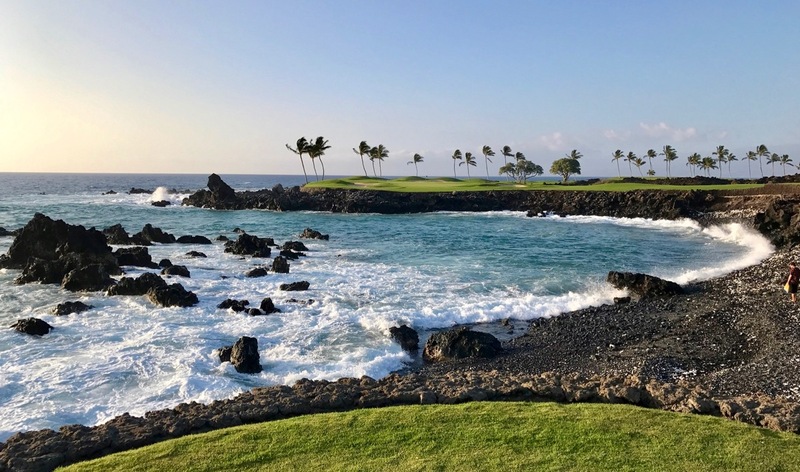 With different tees to cater for all levels of player, and the dramatic coastline on the left of the tee the challenge is to carry across the edge of the coast across the lava to hit the picturesque pear shaped green. Take a picture or a video with that wonderful coast as a background feature. The rolling waves crashing over the rocks and splashing high in the air provide endless entertainment- an ideal distraction from any golfing woes. It really is a gorgeous place to play golf. While holes 8 & 9 are nice holes, again framed by the lava, they head back inland to the clubhouse- giving some respite from the drama on 7. The back nine repeats the formula with some very pleasant lava golf helping us wend our way back out to the coast. Hole 12 is a mid length par 3 with water carry and water extending down the right side of the hole. Hole 13 heads to the coast and is a short dog leg par 4 with skyline green- the iconic 15th hole is a compelling background to those who know their golf. When you have putted out take a minute to take a happy snap of the 15th hole from the 13th green, and note the spectacular ‘tiger tees’. Fourteen is another nice lava hole, but by now you know what is coming and all your attention is on that fifteenth tee shot. Hole 15 is one of THE dramatic holes in golf with a carry over the churning white top waves to a green sitting on the distant peninsula. There are a number of different length tees- so choose carefully… The back markers are 196 yards and the wind off the ocean IS a factor. You will need to hold your nerve, choose the right club, and make a good swing! Make sure you record your memories on this hole, it is a special place. Holes 16, 17 & 18 are lava holes that are good solid holes, but a bit of an anti climax after hole 15.